An excellent event with a fantastic atmosphere. As always, MCM Birmingham Comic Con was a fantastic experience. 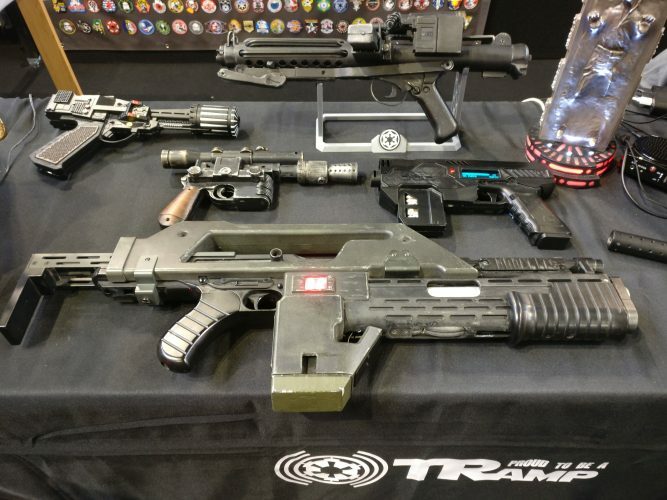 To see everything that was on offer, from the panels to the lightsabre demonstrations, in a single day would be an exercise in futility, but it will always be an entertaining experience. 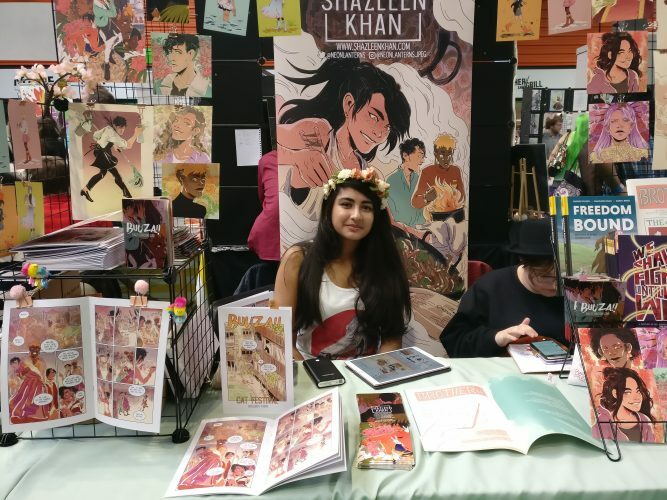 With an increasing number of events on the UK convention scene, Birmingham Comic Con was MCM’s chance to prove that they remain one of best conventions in geek culture. Entering MCM Birmingham Comic Con has always been a visual assault on the senses, and this year was no different, with massive video screens showcasing the latest films and the epic scale of convention sprawling before attendees. MCM Birmingham Comic Cons have always been massive affairs, and this was no different. Despite the Spring event usually being the smaller of the two (the other being in Autumn), this might have been their biggest yet. It certainly felt bigger, as MCM also utilised the surrounding atriums. This use made for some welcome space and much needed sunlight after the crowds inside the convention hall. Headlining the event was the opportunity to meet Felicia Day of Geek & Sundry, who was as lovely to meet in person as she appears on screen, and always took the time to engage with her fans and make them feel welcome. There were – as always – hundreds of market stalls and it could be very easy to go wild with a credit card there, with a cornucopia of geekery for sale. From retro video games to classic comics and anime, and not forgetting the cosplay and steampunk areas, there was legitimately something for everyone. Hidden amongst these stalls were creators selling unique items. This was especially evident in the comics village, where a variety of comic writers could be found, such as Shazleen Khan, a fantastic artist and writer with some truly gorgeous artwork. For those who have ever wanted to have a light sabre battle (and, to be fair, who hasn’t? ), there was the Silver Sabres. With the recognition of light-sabre fighting as an official sport in France in last month, there has been a surge of interest in light sabre duels. 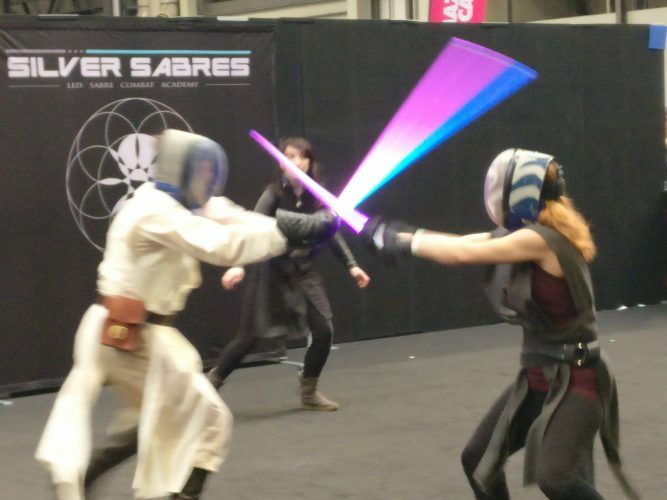 The Silver Sabres were on hand to perform a series of amazing duels throughout the weekend, as beginner classes for any budding padawans that had been suitably inspired. It was great to see upcoming projects being promoted, such as Spirit of the Pharaoh. Described as Stargate meets Indiana Jones, this graphic novel and novelisation (as well as live-action and animated films in development) had a massive stand promoting this classic tale of adventure. On a smaller scale was the upcoming comic-adaption of the gritty/supernatural comic series Lucid the Dreamwalker. Asmodee were also to hand offering demonstrations of some of their latest and classic games, such as Ca$h ‘n Guns or X-Wing. It was very easy to find yourself unwittingly roped into a new game if you happened to find yourself standing around their displays for more than a few seconds. The demonstrators were a first-class team who took the time to find what game worked best for each player and clearly explained the games mechanics regardless of players experience. As always, an event is only as good as the atmosphere, and MCM Birmingham Comic Con is no different. Whilst it could be crowded at times, it never felt claustrophobic, with many of the attendees taking the time to dress up for occasion giving it a carnivalesque vibe. It was the UK Garrison, the only officially recognised Star Wars costumers, who really blew people away. Their incredibly detailed costumes that left many fans feeling the need to acquire stormtrooper armour of their own.